Mo 09:00 a.m Tu 09:00 a.m We 09:00 a.m Th 10:00 a.m Fr 09:00 a.m Sa 09:00 a.m Su 01:00 p.m Click here for a map. 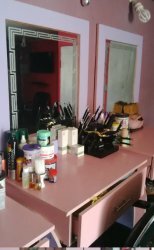 A massage and beauty and cosmetics place in Surulere and we sell quality Cosmetics and beauty products, as well as services for barbing and hairdo, Body treatment & spa. 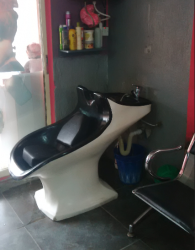 Our other services include body treatment, face treatment, beauty therapy treatments, pimples treatment, anti- aging and acne treatment, professional massage therapy. 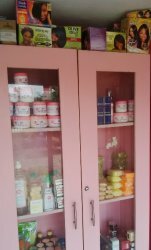 Our products ranges are cream for all kinds of cream, whitening cream, whitening soap, body scrubs, stretch mark remover, spot remover, make over products, body polish cream as well as pedicure and manicure. Visit our office today for an overall beautiful look inside and outside.